1988 Renault GTA Turbo - Last week I featured a 1976 Alpine A310. (You can find the post here.) At the end of the post I wrote, "I've always liked the A310, although if I were to buy one I'd hold out for the a more aggressive looking 1980s model." This is one of those cars. The A310s were nice looking, but a bit bland in my eyes. They almost had a kit car look to them. The later GTA - like this one - had an aggressive, but not boy-racerish look to it. They looked like serious sports cars, which they were. This car is located in Toronto, Ontario, Canada. It's 22 years old and therefor perfectly legal to own and drive there. It's not legal to own and drive here in the US. We will have to wait another 3 years to legally purchase this car. Click here to see the eBay listing, which contains a bunch of good, clear pictures. 1978 ARO Military Truck - Wow. How did this truck wind up in the US? ARO 4x4s were almost sold in this country under the name of Cross Lander. (I've written a couple posts about those vehicles. You can find them here and here.) This is not one of those trucks. This appears to be a Romanian military ARO. It's a 4x4 and looks very utilitarian. This truck, like all military vehicles, is most likely not very fun to drive on paved roads. However, it's probably a blast to take off road and I would pretty much guaranty that you'd be the only one with a military ARO at your local hill climb. I'd love to know more about this truck and I've e-mailed the seller. If there are any ARO aficionados out there with some more info, please leave it in the comments section. 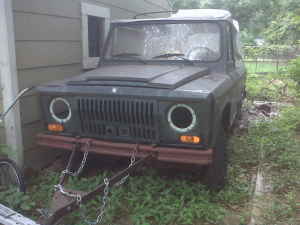 Listed in Dallas, TX, click here to see the Craigslist ad. 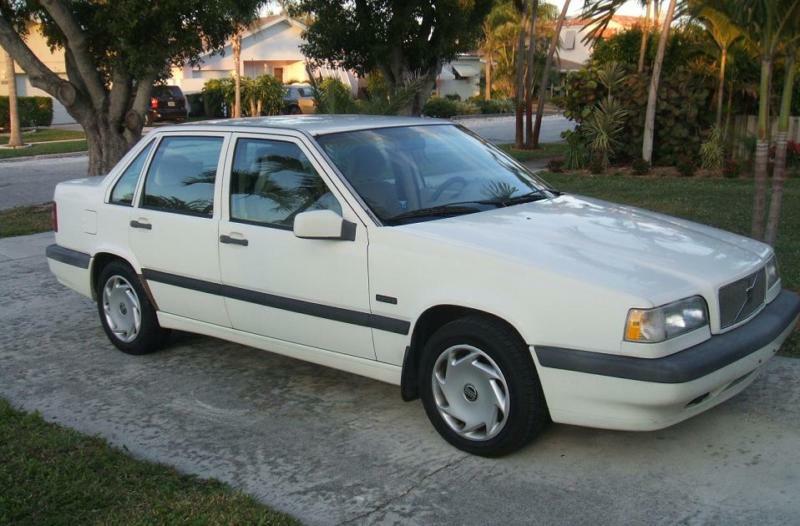 1995 Volvo 850 5 Speed - Most Volvo 850s sold in the US came with automatic transmissions. It was a notoriously bad transmission and the failure rate was high. Prior to the 850, Volvo enjoyed a reputation of building solid, dependable cars that would run forever. The 850 was that type of car too, except, of course, for the transmission. This is an 850 with a 5 speed. The 5 speed manual is a very good transmission which, like the rest of the car, should last for quite awhile. This car was a European Delivery car. According to the seller, the original owners, neighbors of the seller, "picked (it) up directly at the factory in Sweden ... They were given a V.I.P. tour of the factory, treated to a Swedish meatball dinner with executives of the company, and even allowed to drive the car on the Volvo test track." A cool car, a dinner of Swedish meatballs and the use of a test track... Sounds like a great way to spend a day. Located in Lake Worth, FL, click here to see the eBay listing. Triumph TR WTF - There's nothing I can say about this. It's a fiberglass kit car sitting on a Triumph frame and sporting a 3 cylinder Kubota (as in tractor) engine. $2500.00 and it's all yours. Located in Middleboro, MA, click here to see the listing. Jon, friend and master of all things automotively bizarre, sent me the link to this car. *** Update *** JaCG reader, Alden, actually knows what this car is. See "Comments" section below. The wedge-shaped wonder is a homebuilt kitcar called a Centurion. It sits on a modified Spitfire chassis and was the idea of a company in the 1970s' called Quincy-Lyn. (not sure of the spelling) They sold blueprints through Popular Mechanics for all sorts of improbable contraptions, including a three-wheel car as well. This was the heyday of skyrocketing fuel prices and any idea that seemed to promise relief had a chance in the marketplace. I know about this because my dad had bought a set of the blueprints and actually wanted to build one. Even at the time, I thought the car was ugly and if you really wanted high fuel mileage involving a Spitfire, keep the stock components and stick the diesel motor in, but skip the doofy Buck Rogers bodywork and flimsy fiberglas shell. Fortunately, fuel prices dropped, the plans got folded and put away and my fathers' Fueltopian visions were never brought to life. It looks like this guys family did not entirely escape that fate. RENAULT GTA - I've always had mixed feelings about the A310 and its progeny. There are lots of cars out there that elicit the same lukewarm response. Years ago I saw a Subaru SVX at a stoplight late one night, and only drove away thinking about the wierd orange dashboard lights. While the first A310s were interesting enough, the latter cars carried far too many of the styling cues of the original. This 1988 GTA Turbo is like seeing a last generation Pontiac Trans Am. That cut over the rear wheel arches never grew on me and the front end treatment seemed "tacked on" like a late 70's Chevrolet Monza or Buick Skyhawk. The later cars also seemed much larger than the original A310s. 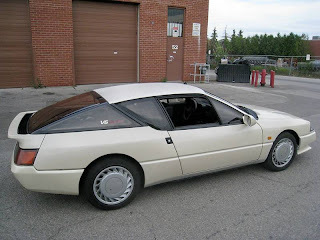 When the GTA version came out in France, it was soon eclipsed by the French manufacturer Venturi which offered a car that was a cross between a late model Lotus Esprit and a Ferrari. ARO MILITARY - I remember seeing lots of these in France. They were utilitarian and were popular with rural folks. Suburbanites drove the more stylish Lada Niva. French manufacturers never really did much in the 4X4 market back in the 1970's and 1980's. A company called Dangel did some really interesting aftermarket conversions on Peugeots, but they were expensive. Try doing a Google image search for "Dangel 505" and see what I mean. As such, France became an important market for lots of Iron Curtain manufacturers such as ARO, Lada, and others. VOLVO - Nice car, nice price. "Meatball dinner," priceless. I'll bet those guys at the Alfa factory throw in a side of spaghetti. 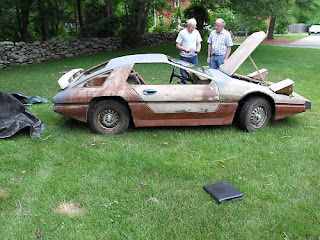 I initially thought this car was just some sort of backyard project made out of a Fiberfab Aztec, but it is real. ARO was sold for a few years around 1988 in Maine with Ford Ranger engines, I think. In 1998 an American businessman, John Perez, offered franchise agreements to US auto dealers. Some 200 dealers paid $75,000 each for franchise rights, for a total of $15 million dollars. These rights were offered by a company called East European Imports. The ARO was offered as a Warsaw pact surplus military vehicle. After the franchises were sold, dealers were pressured to send cashiers checks or wire transfers to start receiving vehicles that were allegedly being held in a port in Florida. Dealers refused and insisted to pay upon delivery which eventually led to East European Imports closing its doors. In September 2003 the Romanian state sold 68.7% of ARO to Cross Lander, a company owned by John Perez, for $180,000 US. The contract stipulated that the company had to invest $2 million US, which allegedly never took place. Instead, all of ARO's production tooling and equipment were sold off; this was an action which violated the privatization contract. The Romanian state sued John Perez in 2006 for falsifying documents in order to acquire the company. The ARO 244 model was planned to enter the US market as the Cross Lander 244X, but funding ran out in February 2006. The company Cross Lander USA Inc fired all its employees, sold its headquarters and closed down in February 2006. ARO went into bankruptcy in June 2006. Barring any waning seconds Hail Mary antics, the Cross Lander's chances for U.S. sales are over. Just last month, company officials looked to finally be ready for American distribution, after cajoling the EPA into giving their Romanian-built body-on-frame bruiser a pass on U.S. airbag regulations on the grounds of economic hardship. Well, apparently they weren't kidding about the last part, as the would-be discount truckmaker has apparently run out of funding. In fact, the situation is so dire that Romanian officials are now apparently looking to level fraud charges against the company's owner, John Perez, a Floridian who bought the Cross Lander factory in 2003.